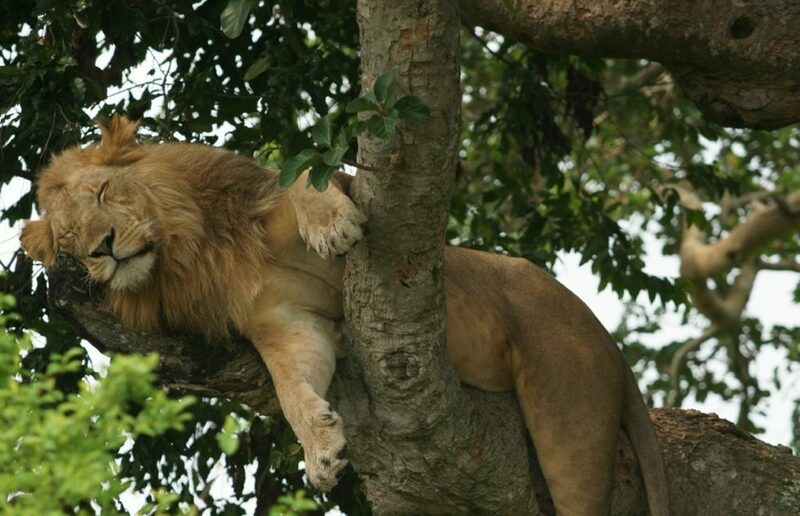 The park is named after mountain Elgon, an extinct massive shield volcano where the park is located. 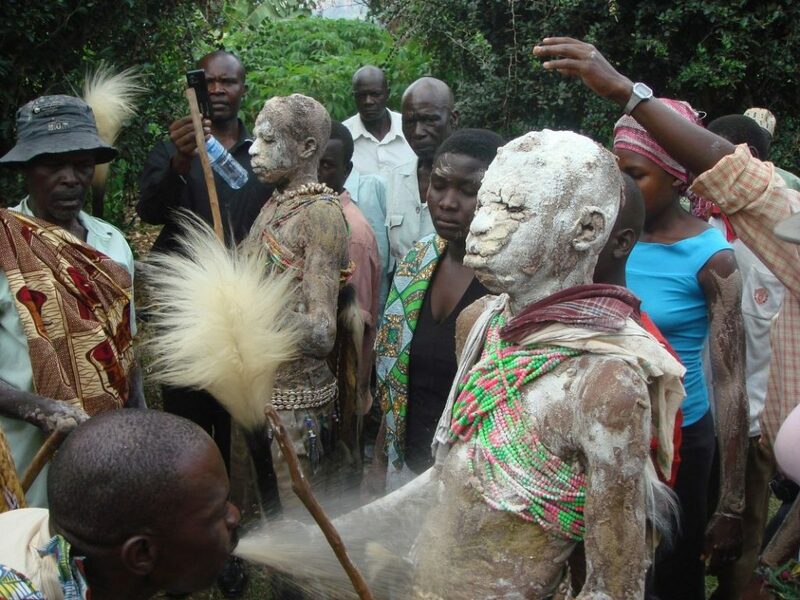 Mountain Elgon is also known as “Masaba” by the Bagisu who consider it as the embodiment of their founding father Masaba. The mountain was once Africa’s highest mountain far exceeding Kilimanjaro’s current 5,895m (this sounds great) but constantly reduced by erosion to 4,321m ranking it 4th highest peak in East Africa and 8th in Africa (but anyways more accessible than any other high peak in East Africa). 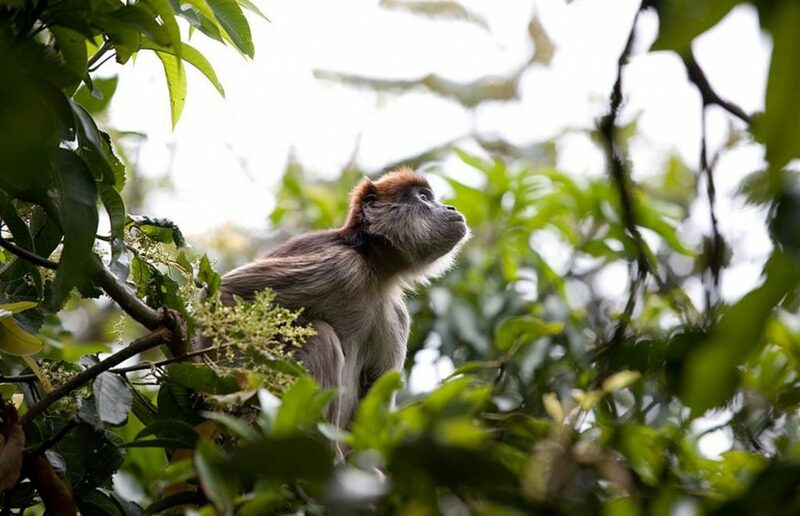 In 1940 the area became the mount Elgon Crown Forest, in 1951 made a central forest reserve and upgraded to a national park in 1992. 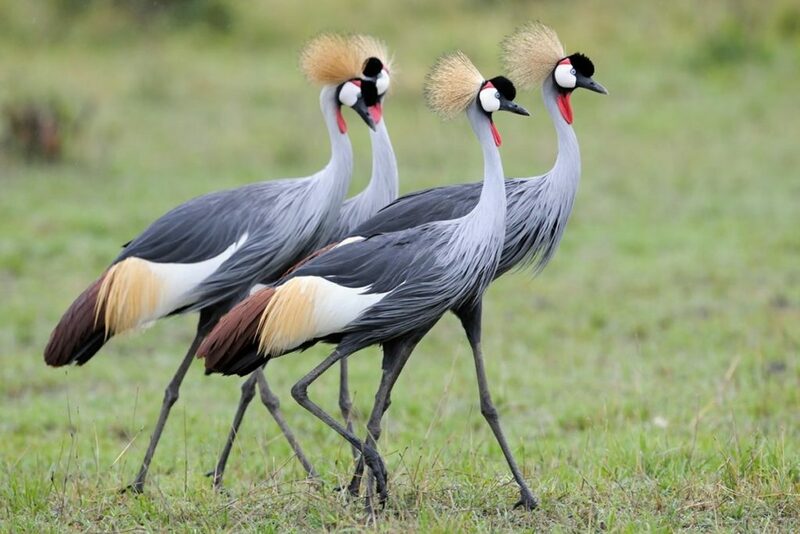 Uganda at 241,038km may sound small maybe compared to one’s home country but its features have the potential to take someone back to the insights of a million years. 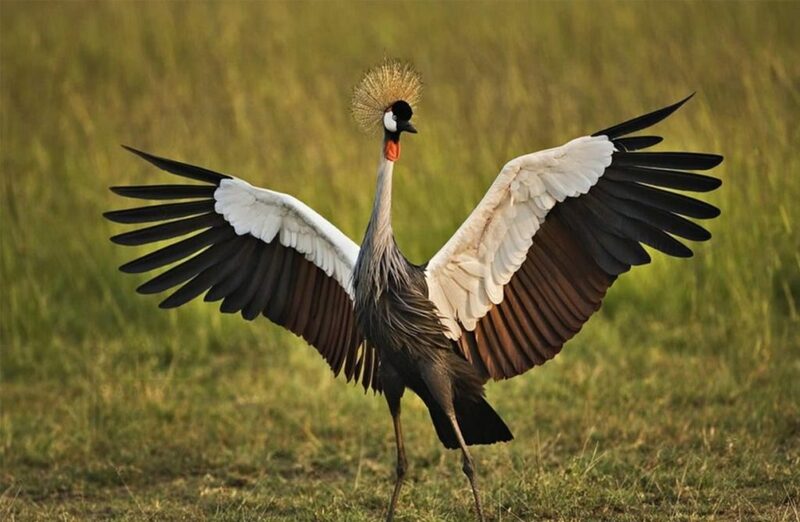 The oldest physical feature of Uganda is still amazing and beautiful even after erupting 24million years ago. 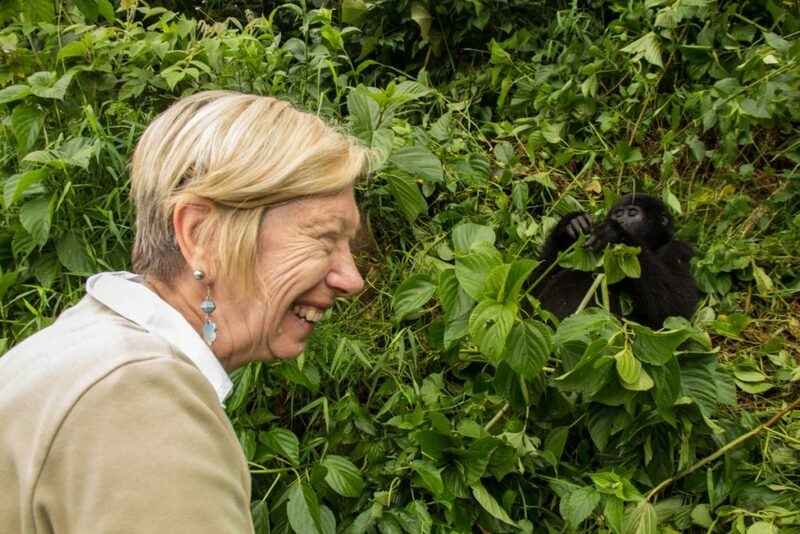 Plan a Uganda safari to the world’s largest caldera and interact with the old historical physical feature at Mount Elgon National Park. The vegetation and scenery are very magnificent with slopes that support a rich variety of four distinct vegetation types ranging from tropical montane forest on the lower slopes, mixed bamboo belt, heath and dense shrubs to high open spectacular moorland studded with the rare endemic plant species like the giant lobelia and groundsel plants. 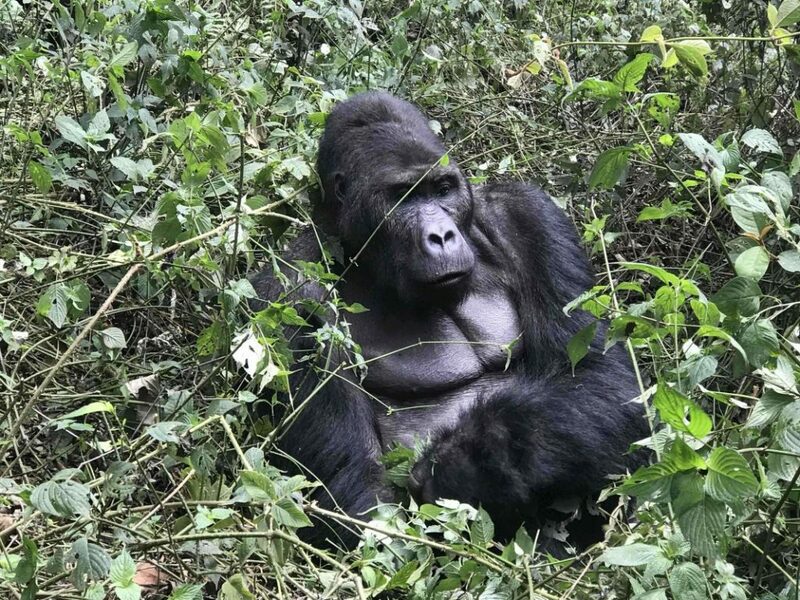 The scenery is filled with peaks, cliffs, caves, waterfalls, mesas, gorges, calderas, hot springs and cliffs that give accompaniment to your Uganda mountain hiking safari. 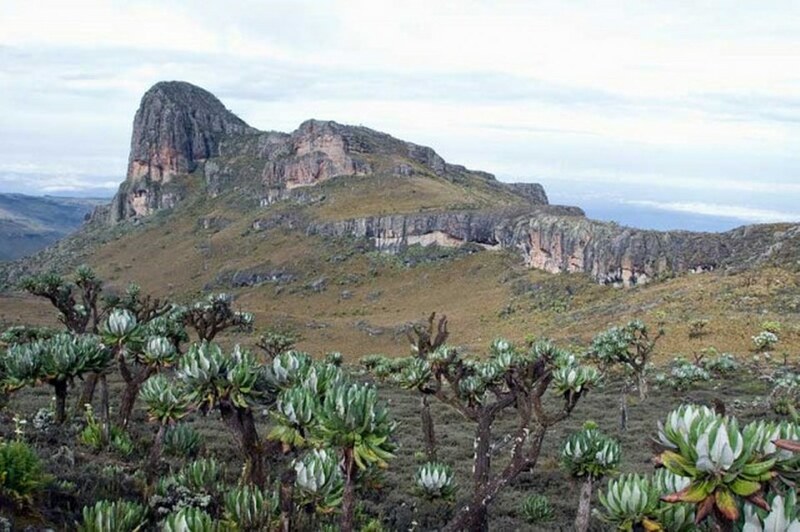 The towering peaks of the Elgon mountain cool height offer cessation for the people from the hot plains below that watch in admiration of the peaks above them. 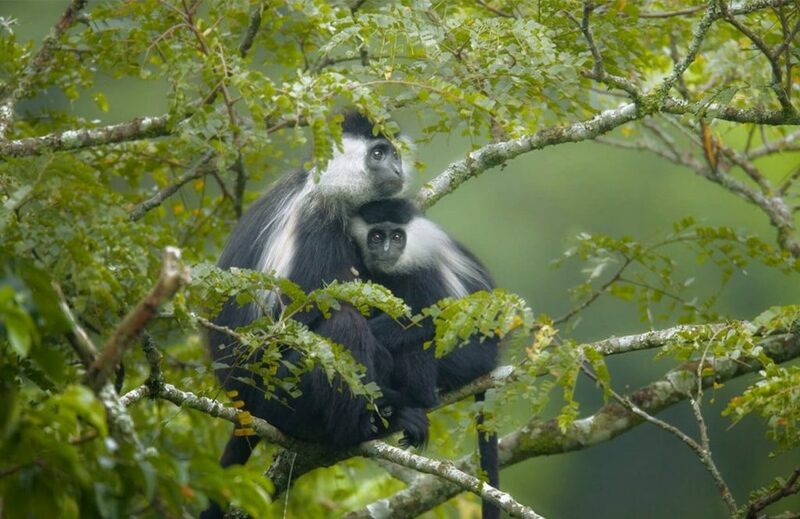 The cool admired peaks have varied wildlife including the black and white colobus monkeys, blue monkey, red-tailed monkey, elephants, buffaloes, small antelopes and duiker. The other mammals include bushbuck, civet, wildcat, elusive leopard. The wildlife on the mountain is in various points of the mountain. 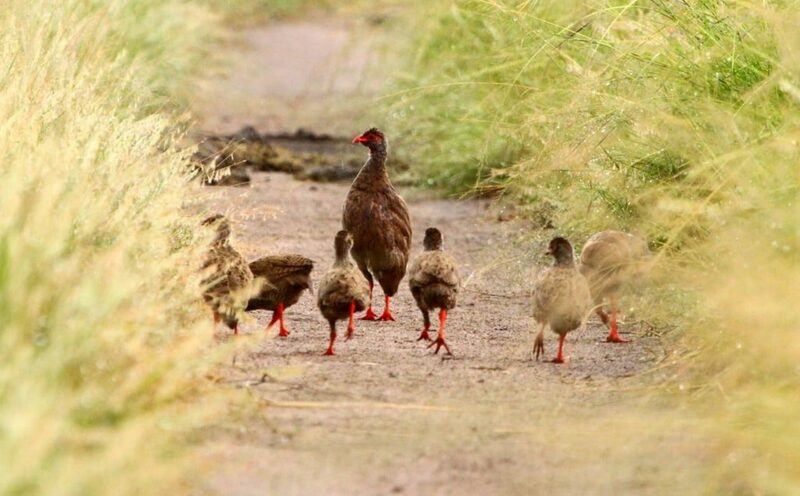 Birds too find home in the series of rugged peaks, counting to more than 144 species including the Beautiful Jackson’s Francolin, Hartlaub’s turaco, the eastern bronze -naped pigeon, Tucazze sunbird, guinea fowls, sunbirds and endangered Lammergeier. 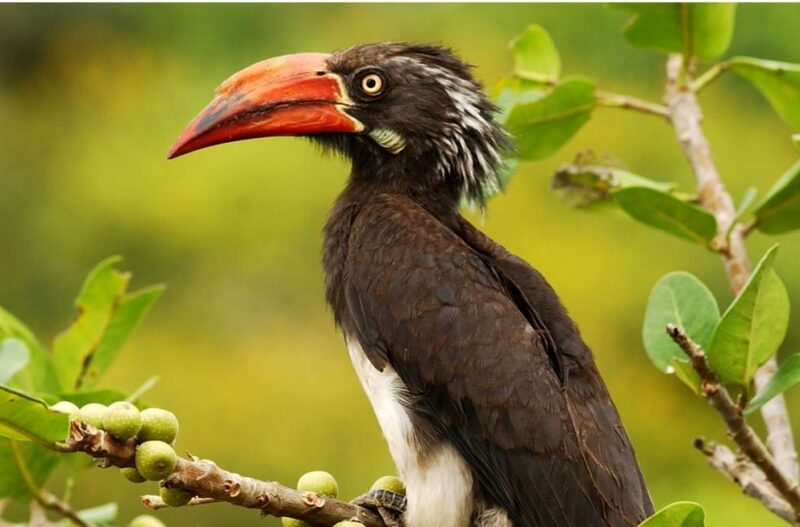 A passionate birder who loves height would not miss having a glimpse of the beautiful birds on a birding safari in Uganda with these lower peaks. 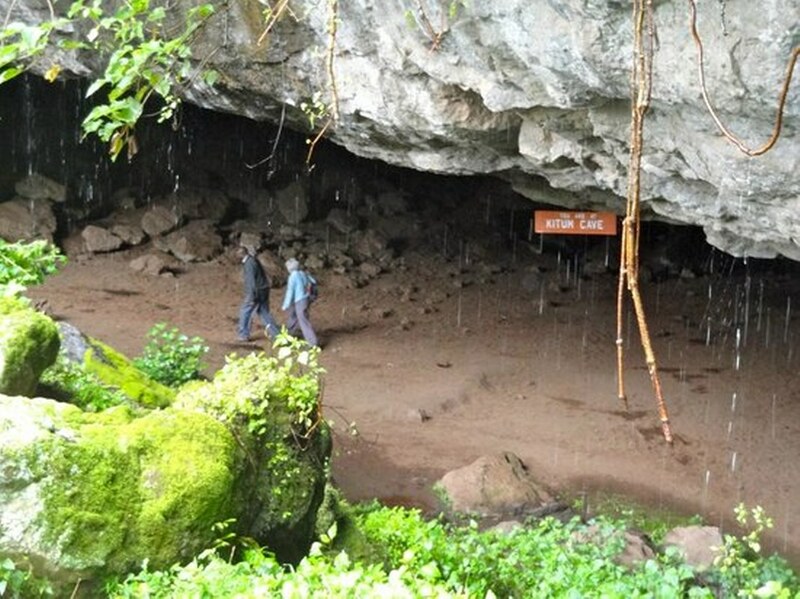 The historic caves like Kitum, chepnyal, mackingeny where mammals visit to lick salt at night, the exceptional waterfalls like Sipi waterfalls and hot springs that bubble to 480 C combined will give spectacular view spots of the terrain as you go higher on your mountain climbing safari in Uganda. 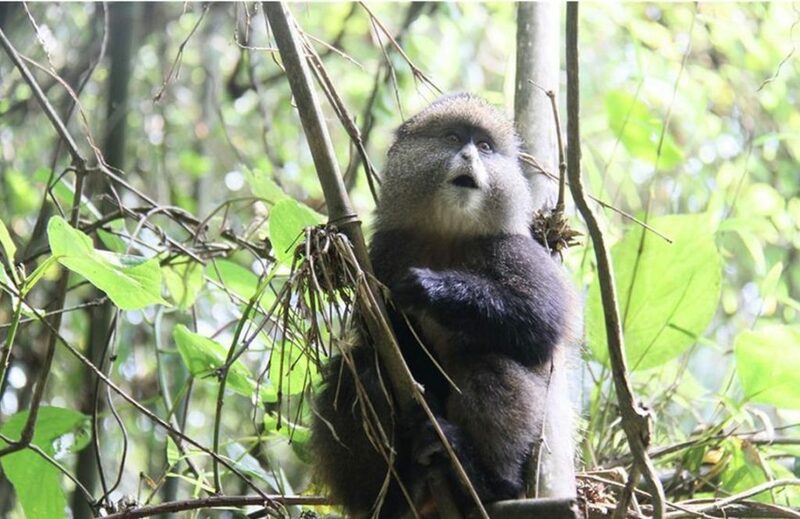 is a perfect option for a memorable Mountain hiking safari in Uganda allowing you to traverse the caldera glimpsing at wildlife, birds and hot springs ascending from through Sipi-piswa-sasa trail and descending from the Sasa-Sipi trail. Transboundary hiking can be organized for you as you ascend by a Uganda trail and descend in Kenya for a Kenya mountain climbing safari there. is long but most gentle trail that takes 7 days covering 49km. The trail starts from “Kapkwata” on the northside of the mountain traversing the soft wood plantation to the podocarps forest. 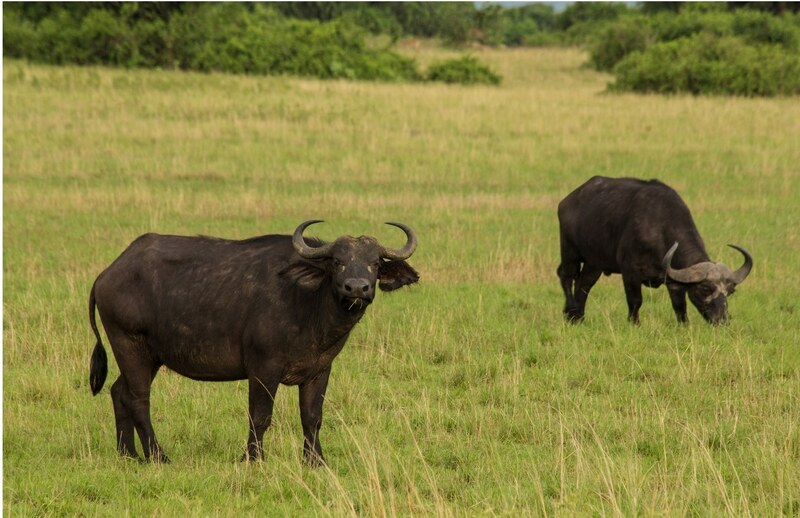 This trail gives you an opportunity to sight wildlife and have a spectacular view of the Karamoja plains, the Nandi and Kapeguria hills in Kenya as you go past the hot springs. 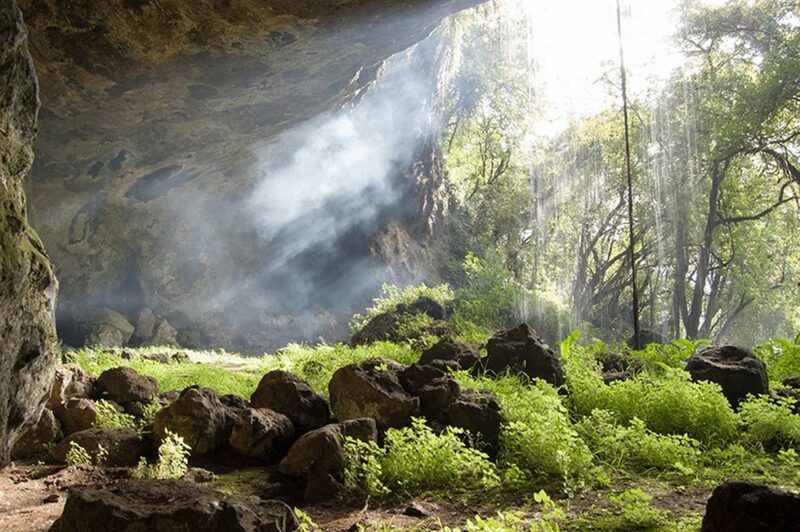 along the trekking circuit for instance near Budadiri, Sasa river and Mude cave camps though camping is not allowed in the crater. 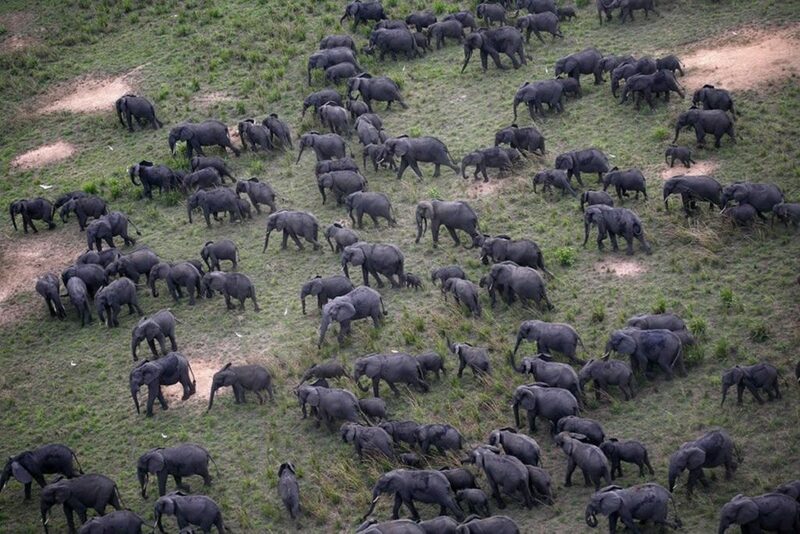 This therefore means that you can come prepared for a Uganda camping safari on top of all the thrilling activities. 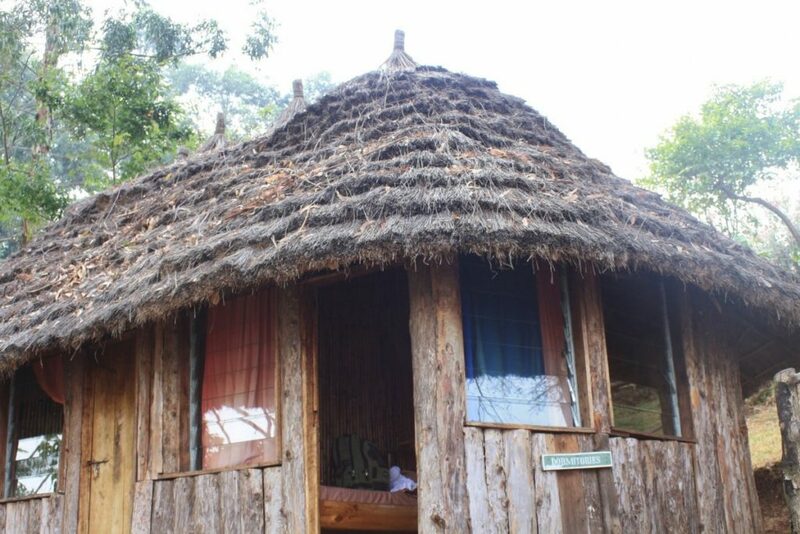 round trip is 56km, takes 4-6days and the longest starting from Kapkwai forest exploration center at 2,050m through the north western mountain side. The trail starts calmly as you hike to the caldera through tutum cave but becomes tougher on day three from Kajeri camp. This long trail is what any enthusiast hiker should take on their Uganda mountaineering safari on Mountain Elgon. round trip is the shortest but toughest route taking 4 days. The toughest climb of 1,600 is completed on the first day though the whole trek takes 1,250m. presented by ancient cave dwellers who lived here earlier on. 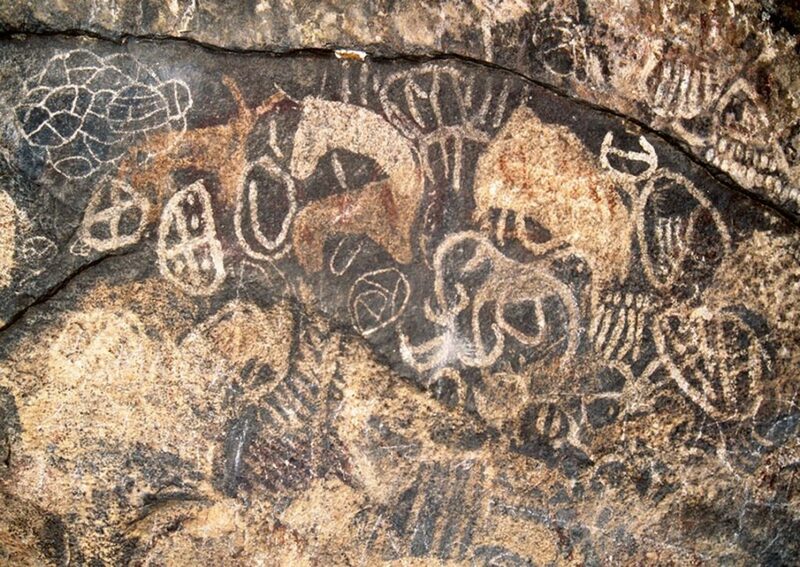 The rock paintings have remained in good shape after surviving thousands of years. 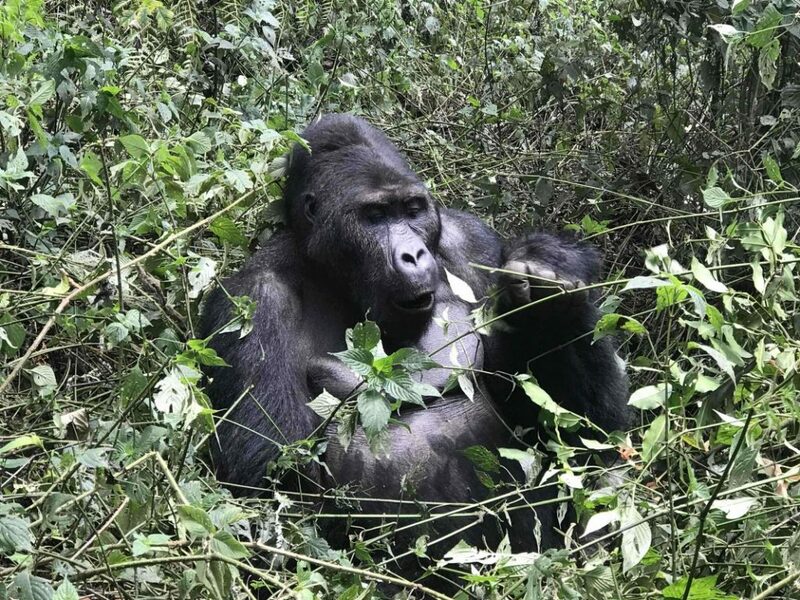 As you continue with your tour to Kidepo Valley National Park for a wildlife encounter, Sipi falls is a great point to first encounter with the cascading waters from the cliffs above that will welcome you from a distance with its pulsating sound. 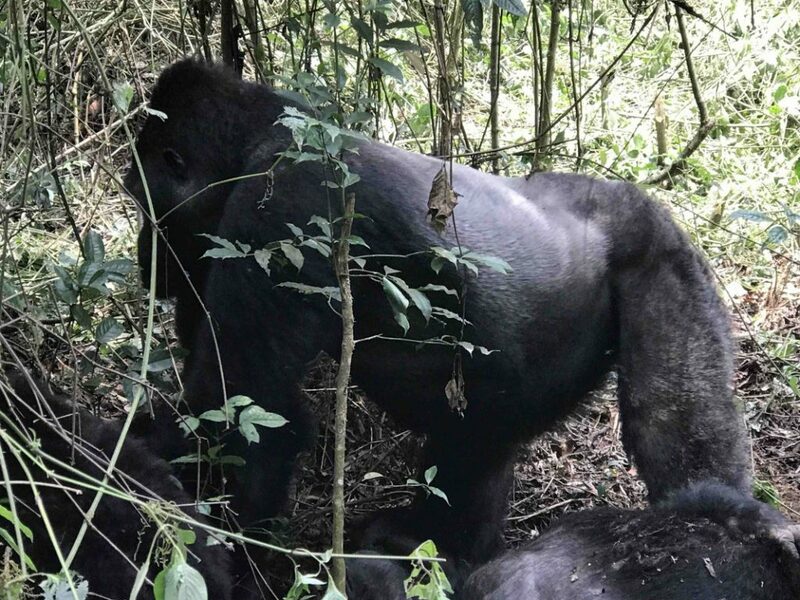 By Road distances: There various routes to your mountain climbing destination in mount Elgon National Park; From Entebbe International airport, the park is 301km via Kampala taking about 6h 48min. 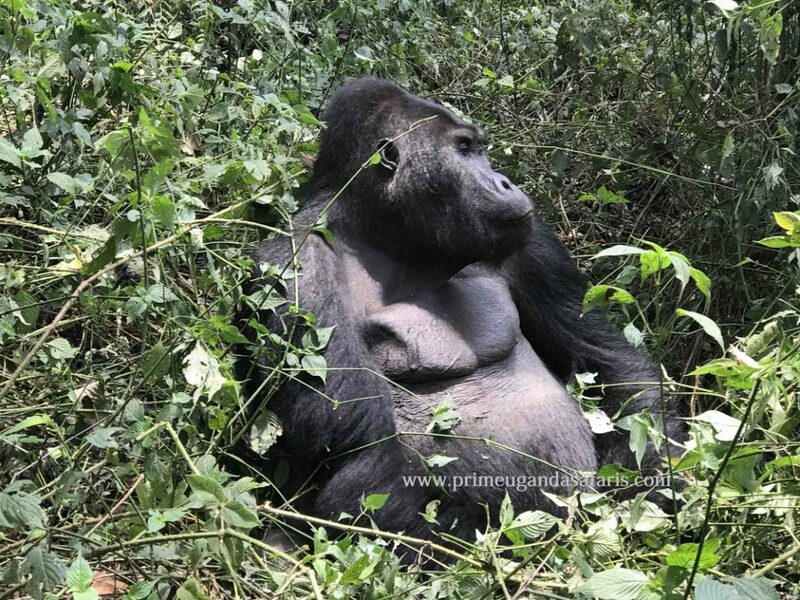 From Kampala, the park is 262km east via Iganga- Mbale road taking about 5h 38min and the fastest road with tarmac to Chebonet and dirt roads lead you to the park. 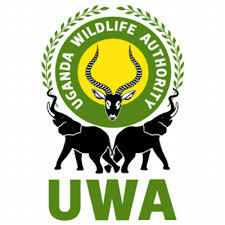 From Mbale town, the park is 30.9km via Namusi-Budadiri about 1h 8min on a marram road. 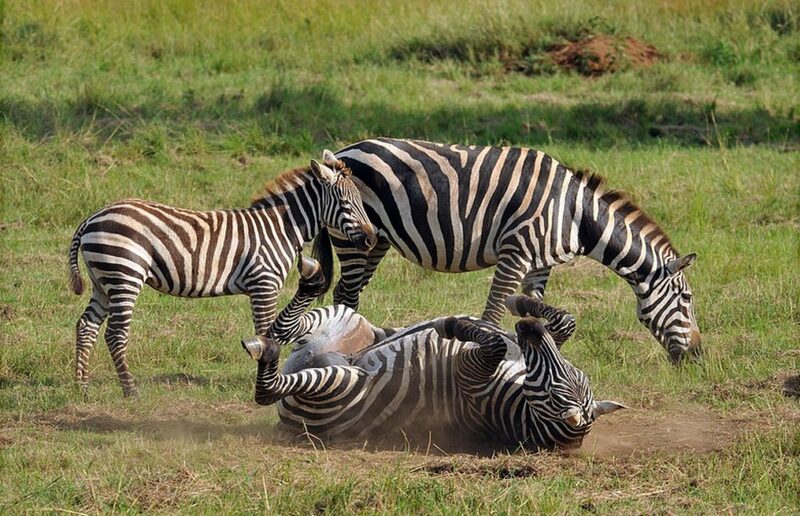 The park is 41.6km via Mbale – Moroto road about 47min on a tarmac road. 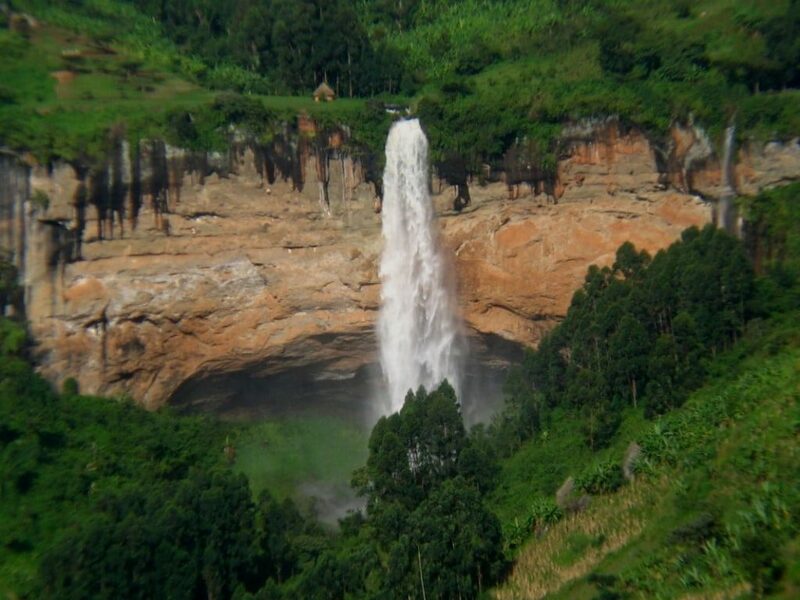 To Sipi falls, its 9.1km taking 12min or 8.0km for 14min on dirt marram roads. By air: Taking a flight for mountaineering safaris and tours in Uganda’s mount Elgon would not be the best option but if you opt for it, Flights from Entebbe International airport to Soroti airport can be organized by Aerolink Uganda, Fly Uganda or Eagle air then a road drive to the national park taking 124.4km for 1h 53min via Mbale-Soroti road. The best time of the year like for any rewarding mountain hiking safari is during the dry months of June to August and December to March when the rains are low (though could be experienced) and trails are more passable. 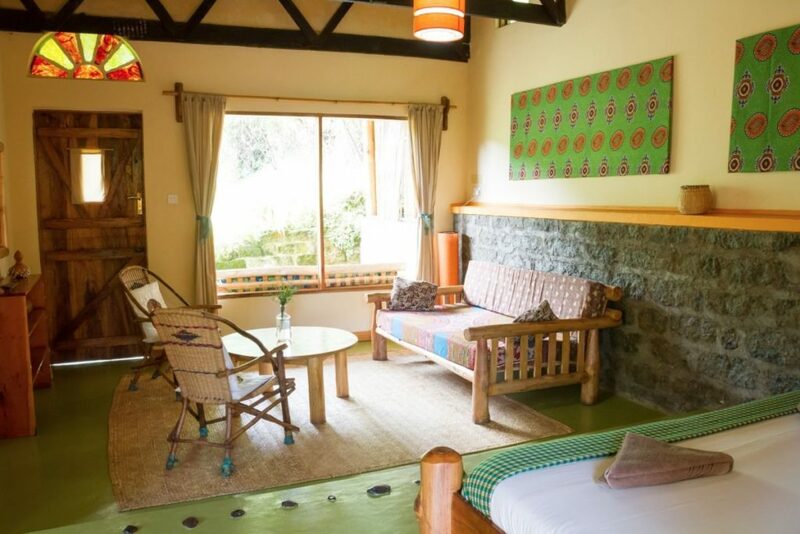 Hey there, scared of very high steep peaks: Mount Elgon means safaris beyond the crowds with a lower altitude. 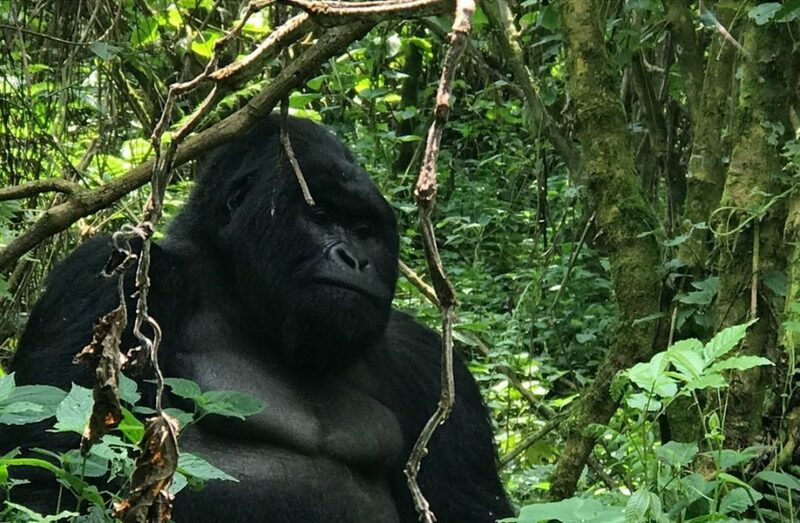 Plan a mountain hiking safari to Uganda and enjoy the experience, don’t miss because you’re not good at very high peaks. 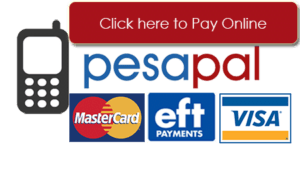 is availed at Mbale resort hotel in Mbale, Mount Elgon Hotel &Spa in the suburbs of Mbale town, Crown suites Limited, Mbale travelers Inn. 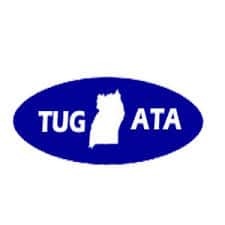 is availed at Lucia Villas Mbale, Bekasa Hotel Mbale, Dream Palace. 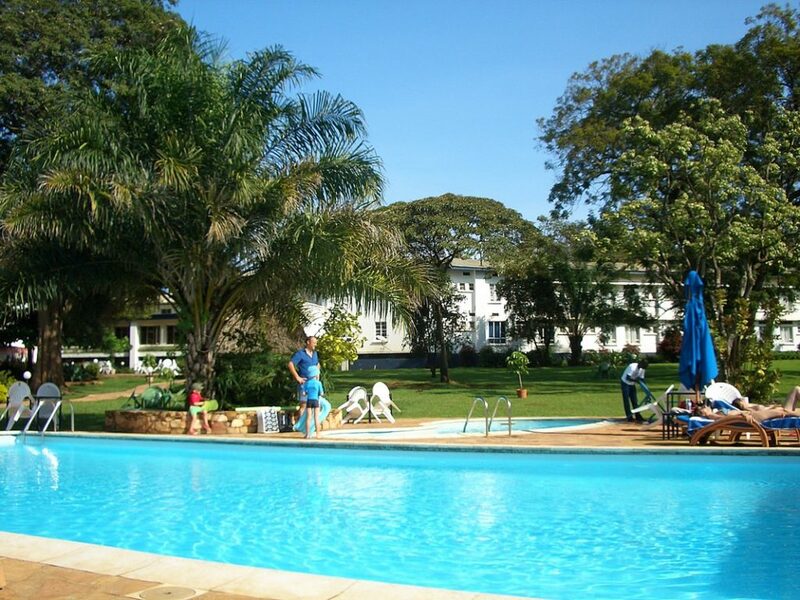 hotels and lodges include Agabet Hotel in Mbale, Sunrise Inn and Les Jardin Hotel Ltd in Mbale.